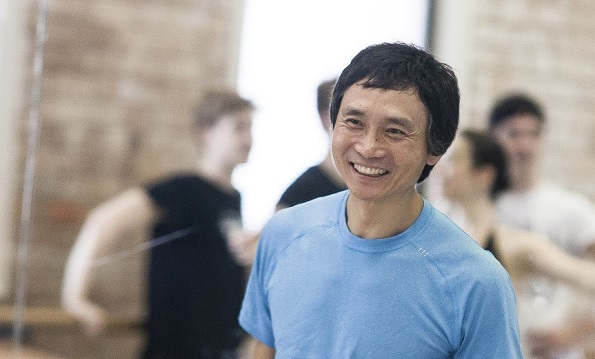 Queensland Ballet’s Artistic Director Li Cunxin has been announced as Queensland’s Australian of the Year 2014. The announcement was made by the Honourable Campbell Newman MP, Premier of Queensland, at a special awards ceremony hosted by the National Australia Day Council at the State Library of Queensland in November. Queensland Ballet ‘Dance Dialogues’. Li Cunxin with Principals and Soloists. Photo by Harold David. Born into extreme poverty in rural China, Li Cunxin was spotted by Madam Mao’s Beijing Dance Academy at age 11 and his life changed forever. After a gruelling seven year training regime, Li became one of China’s foremost ballet dancers. Awarded one of the first cultural scholarships ever endowed in China to study in America, Li subsequently defected to the West in 1981. He went on to dance with the Houston Ballet for 16 years and became one of the best dancers in the world. While in London he met and fell in love with Australian-born ballerina, Mary McKendry, and in 1995, he moved to Australia to become a Principal Artist with The Australian Ballet. Li’s awarding-winning autobiography, Mao’s Last Dancer, is an international bestseller that became a blockbuster film in 2009. The announcement comes amidst a sell-out debut season as Queensland Ballet’s Artistic Director. 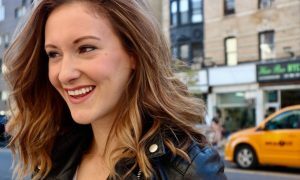 “The encouragement given to me in the past year has been fabulous, and I am thrilled that my dreams for this wonderful company have resonated so deeply with the community,” said Li. This month, Queensland Ballet will present a sold-out season of Ben Stevenson’s The Nutcracker. In a new initiative for the company, Li has organised an extra performance of the Christmas favourite so that the profits can go towards establishing a Queensland Ballet Dancer Retraining Fund. 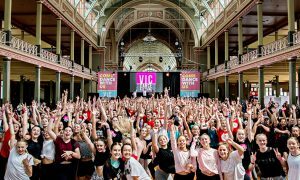 The fund will provide assistance through grants and training aimed to support and guide dancers through the transition from a performing career. Queensland Ballet will present Sir Kenneth MacMillan’s ‘Romeo & Juliet’ in 2014. Dancers Rachael Walsh and Matthew Lawrence. Photo by Harold David. “Reaching the end of their performing careers can often be challenging for dancers. We are committed to ensuring our dancers are prepared for their future off stage,” said Li. Looking towards 2014, Li has assembled a collection of world-class choreographers, artists and designers from around the world for an amazing new season. The company’s mainstage season includes three beautiful, breathtaking ballets: the world premiere of Greg Horsman’s brand new Coppélia in April; the Australian première of Sir Kenneth MacMillan’s iconic Romeo & Juliet in June; and the return of Ben Stevenson’s magical The Nutcracker in December. “Season 2014 will showcase our company, and this beautiful art form at its very best,” said Li. The centrepiece of Season 2014 will be Sir Kenneth MacMillan’s acclaimed ballet Romeo & Juliet. With international ballet stars Tamara Rojo, Carlos Acosta and Steven McRae performing alongside the company’s talented ensemble of dancers, this magnificent production will honour MacMillan’s creative genius. Li is honoured Queensland Ballet will be the first Australian company to present MacMillan’s celebrated work, widely considered the best Romeo & Juliet in the world. “It is an incredible coup for Queensland to secure this exclusive production of Sir Kenneth MacMillan’s Romeo & Juliet. 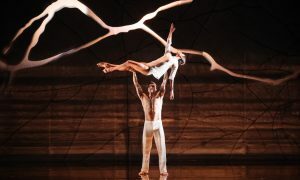 This super-star production will attract world-wide attention, placing Queensland Ballet on the global stage,” he said. In August 2014, the company will present a mixed program entitled Flourish, which includes George Balanchine’s Serenade, Nicolo Fonte’s Bolero, Nils Christe’s Short Dialogues and Ben Stevenson’s La Esmeralda grand pas de deux. 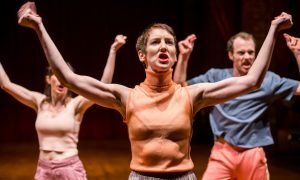 Audiences will also have the opportunity to enjoy new dance works from exciting young choreographers and experience the process of rehearsal with Dance Dialogues. The two seasons will be held in an intimate studio theatre at the company’s home, Thomas Dixon Centre. Regional Queensland is also in for a treat in 2014. The company is taking Ben Stevenson’s sell-out Cinderella to eight regional venues in September and October: Toowoomba, Gold Coast, Cairns, Townsville, Mackay, Maryborough, Rockhampton and Gladstone. For more information visit Queenslandballet.com.au. Photo (top): Queensland Ballet Artistic Director Li Cunxin. Photo by Christian Aas.